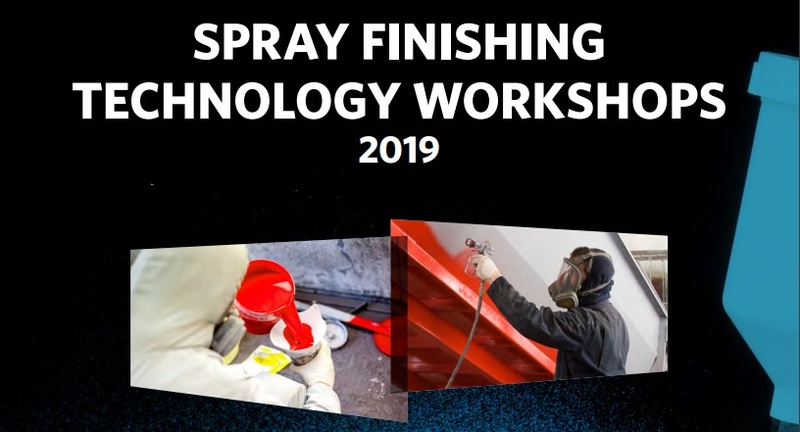 Finishing Brands, a Carlisle Co.; Binks, DeVilbiss, Ransburg, BGK; and Owens Community College have teamed up to present Spray Finishing Technology Workshops. The three-day intensive workshop familiarizes participants with the equipment, systems. and techniques of spray finishing. Topics include surface preparation, equipment types, evaluation and spray applications associated with industrial finishing. Classes meet from 8:30 am to 4:00 pm daily and include both classroom and hands-on sessions. Attendees should be involved with industrial, contractor, maintenance spray finishing applications, or spray equipment sales and distribution. Two Continuing Education Units are awarded for completing the workshop. The workshop is held at Finishing Brands in Toledo, Ohio and costs $595, which includes all instructional materials, daily lunches, and lab supplies. Also offered is a special lodging package at the Holiday Inn Express for $99 a day. Reservations must be made at least 14 days prior to the workshop date to receive discounted rate.